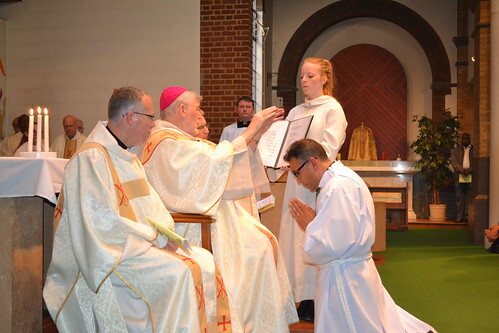 On Monday 26th June, St Mary’s was delighted to welcome Bishop Paul Hendricks to bless its new school reception area and to present badges of office to the new school's Student Leadership teams. 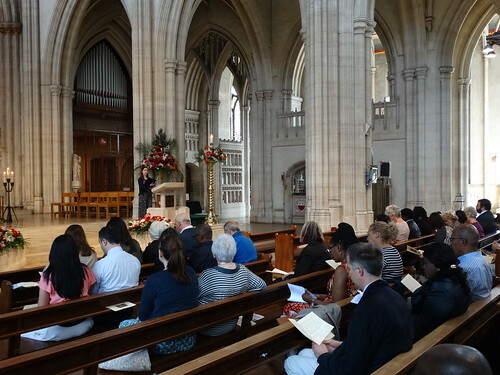 In addition, the school was also pleased to welcome Dr Maureen Glackin, Head of School of Education at St Mary’s University, Twickenham as a special guest for the day. 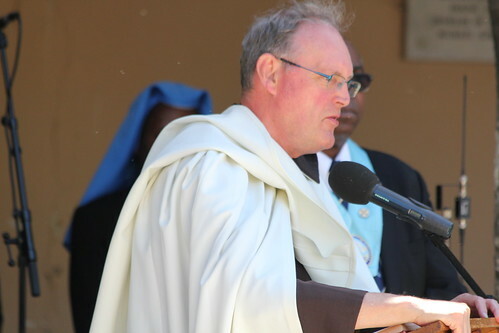 Bishop Paul led a special ‘Liturgy of the Word’ for all students in the school’s Sports Hall before presenting badges of office to the new Student Leadership teams, including the Head and Deputy Girls and Boys. Before blessing the new reception, Bishop Paul also blessed the crucifix, statue of Our Lady and photographs of Pope Francis & Archbishop Peter which were then placed in the new facility. 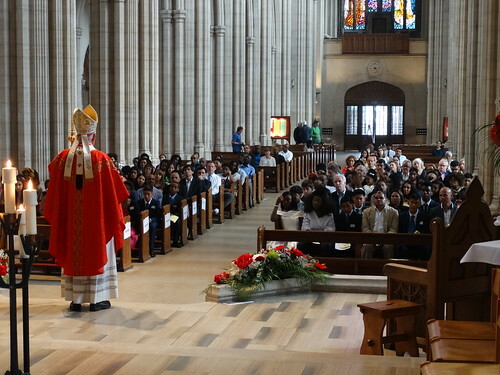 On Sunday 25th June at the 9:00am Mass, Bishop Paul Mason presented Faith in Action certificates and badges to 40 of the young people at St. Francis - Maidstone from their Flame and Fledglings groups. This is a new national award awarded at different levels. 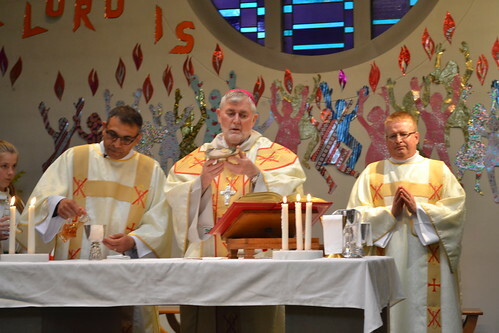 The young people have worked very hard during the past year on their journey of faith, including learning new prayers and litanies, raising awareness of the plight of Syrian refugees and the local homeless, leading the living Stations of the Cross, visiting care homes, the Cathedral and taking part in small pilgrimages. 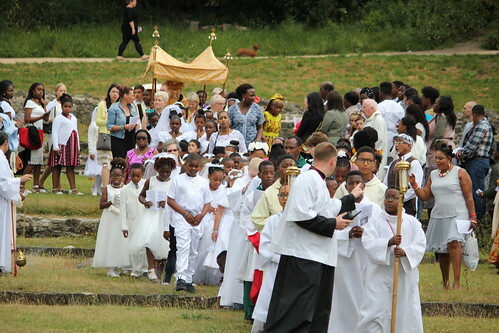 Parishes from the Greenwich and Bexley Deaneries gather together for their annual Blessed Sacrament Procession in the ruins of Lesnes Abbey on Sunday 25th June 2017 led by Brother Martin Mikuskiewicz, parish priest of Our Lady of the Angels, Erith. 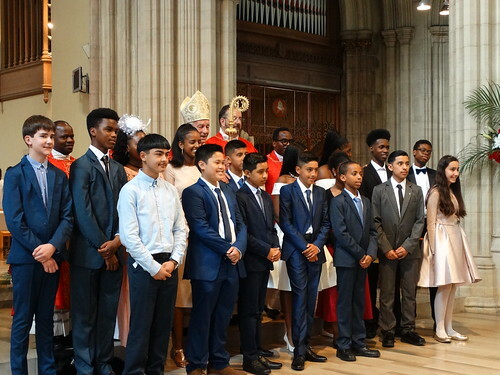 Children who had recently received their First Holy Communion, young people who had recently been Confirmed and Extraordinary Ministers of Holy Communion were given special places in the procession. Lesnes Abbey is situated in the parish of St Benet, Abbey Wood. The abbey was founded in 1178 by Richard de Lucy, who, in 1170, had been complicit with Henry II in the murder of St Thomas Becket, the Archbishop of Canterbury. 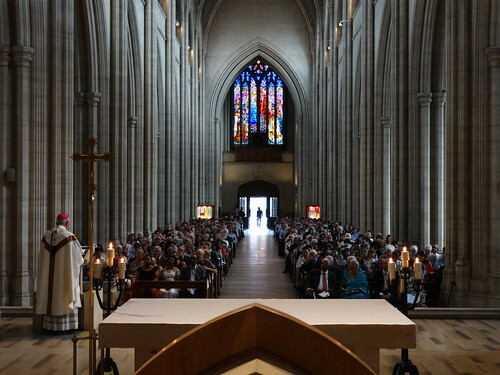 He built the abbey within the boundaries of his Manor in reparation and, having assumed the religious habit, ended his days there and was buried in the Chapter House. The abbey was a foundation of the Augustinian Canons within the Diocese of Rochester. It was closed in 1524 by Cardinal Wolsey to raise revenue to found a college in Oxford, but at Wolsey's fall in 1530 the site became the property of the King. This is a global project which raises awareness of the rights of children. 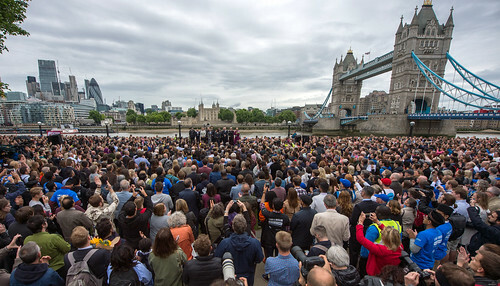 The project raises funds for UNICEF and other organisations working with and supporting children and young adults and is completed by children from all countries, creating the largest decorated canvas bag in the world. This year the project will attempt to beat the current Guinness World record for such a bag. St Mary’s are privileged to be part of this initiative. In an assembly with Mr Alao, the children were made aware of their rights to free education, to feel safe, to be fed, to receive healthcare and the right to help when you have been mistreated or abused. Mr Alao shared much of his work with the students, telling us the stories that inspired them. After meeting Mr Alao all of Year Seven moved to the Art classrooms to work on their own pictures to symbolise hope. The students were most excited, and somewhat inspired when they were told that these will be displayed on the United Nations building in New York. 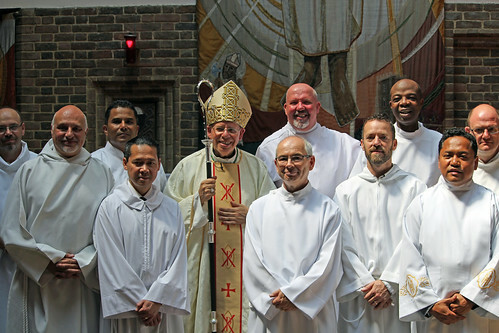 Sunday 11th June 2017 the Knights of St Columba from the Southern Provinces including Southwark joined together in pilgrimage to The Friars, Aylesford, also celebrating their patrons feast day which was on 9th June. 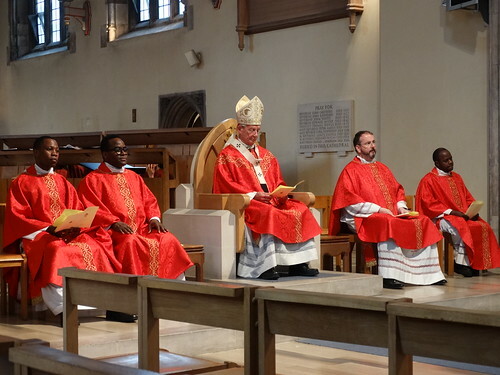 The Mass was concelebrated by Monsignor Matthew Dickens and Father Innocent Abonyi, the KSC Southwark Provincial Chaplain. 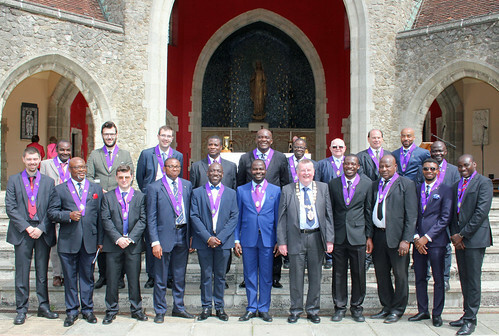 During the Mass over 30 Brother Knights were elevated to Knighthood degree by the Supreme Knight assisted by Brother Bertie Grogan who is the Supreme Director for Membership. 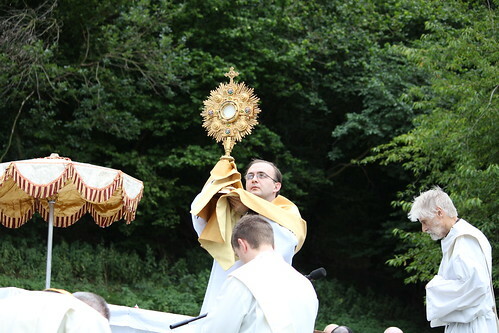 This was the 51st Pilgrimage to Aylesford for the Knights and the welcome by the Carmelite community was up to it usual prayerful, and spiritual high standards. 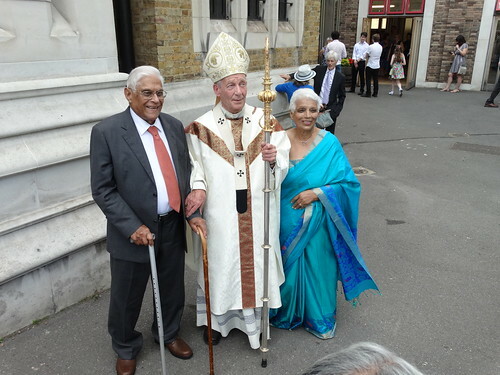 Father Francis Kemsley blessed all the scapulars and religious items purchased at Aylesford. 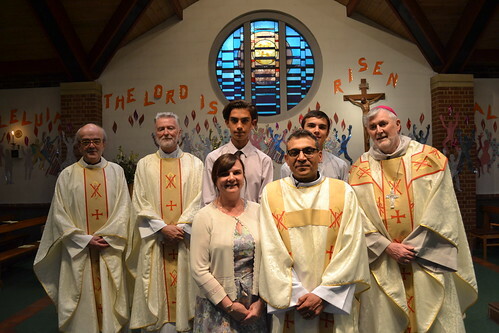 Dominic Clovis was ordained to the Priesthood on 10th June 2017. He is the sixth child of ten and was born 1st September 1989. 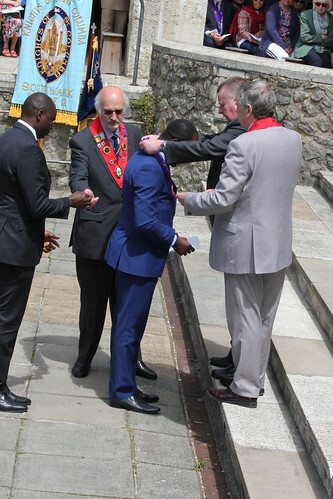 He joined the Institute of the Incarnate Word after his A Levels and has been studying in Italy for the last eight years. 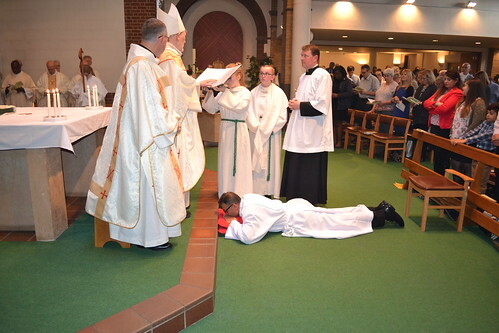 Having returned to the UK after his ordination, on Sunday 18th June, he celebrated his first Mass in the Extraordinary Form at St Mary’s Chislehurst, his home parish. 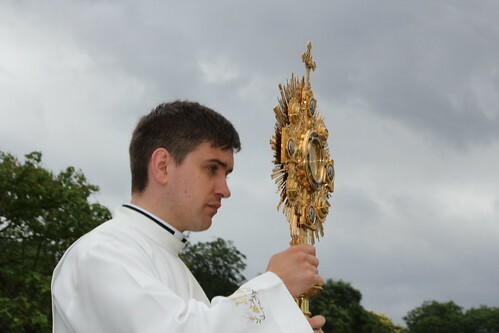 The following Sunday he celebrated an Extraordinary Form Mass at St Bede’s, Clapham Park, where he took part in the Corpus Christi Procession. 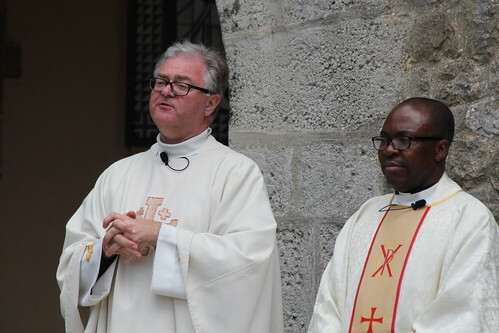 Father Dominic will be exercise his ministry near Edinburgh in Scotland where the Institute of the Incarnate Word has four parishes. 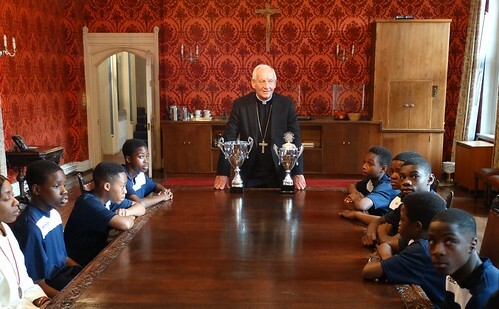 After Mass all were invited to a Question and Answer session with Archbishop Peter in Amigo Hall where refreshments were served. 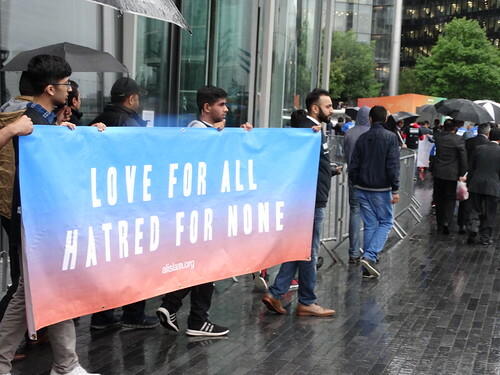 Leading a short ceremony, the Mayor, Sadiq Khan said ‘our unity and love for one another will always be stronger than the hate of the extremists’. 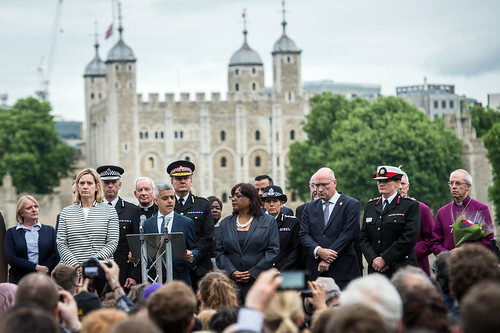 All gathered then observed a minute’s silence before laying flowers and writing messages of unity by City Hall. 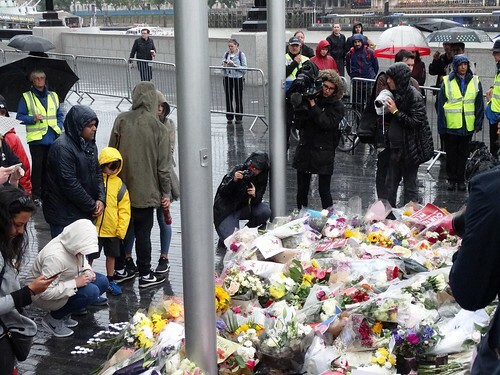 Commenting on the events of last Saturday, Archbishop Peter Smith said ‘Our hearts go out to the innocent victims of this attack last Saturday evening. In a time of adversity the whole community has come together to support victims of crime with extraordinary generosity. Please keep all affected by this tragic event in your prayers. 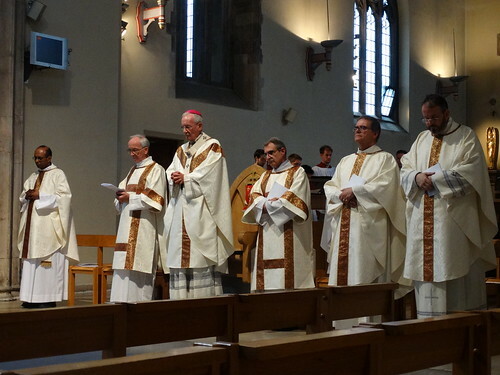 On 3rd June the Grand Re-opening of St Augustine’s was celebrated by Archbishop Peter Smith with a service of blessing and Vespers. 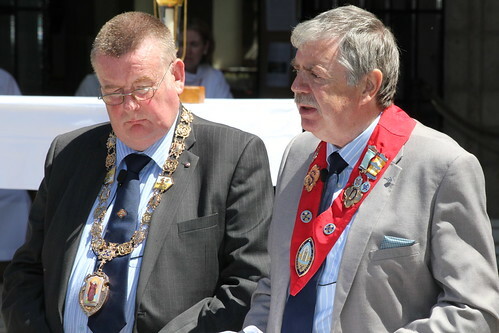 Bishop Paul Mason, area bishop for Kent also attend. 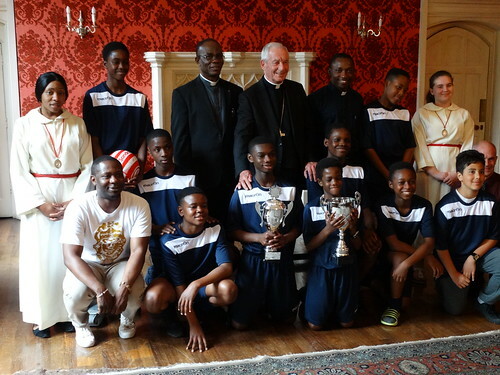 Local choirs, St Ethelbert’s Primary School, and community groups associated with St Augustine’s took part. 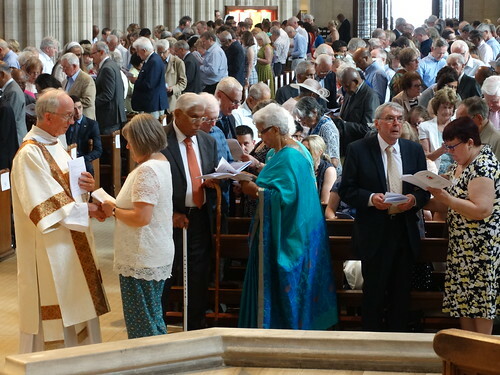 This marks the start of the re-use of St Augustine’s following restoration. 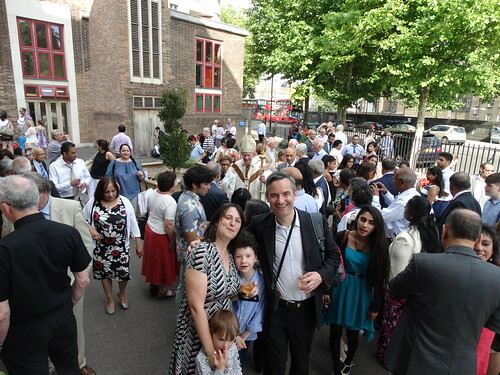 Afterwards there was a celebratory reception in the gardens of the Divine Retreat Centre, across the road from St Augustine’s. 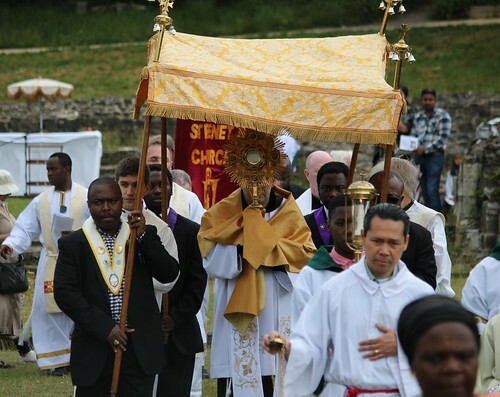 The Shrine of St Augustine, England’s newest shrine recalling England’s first missionary. Pugin’s magnificent personal church and burial place, dedicated to his patron St Augustine, became, on 1st March 2012, the official shrine commemorating the coming of the Gospel to the Anglo-Saxon peoples. St Augustine who landed near to Ramsgate, sent by Pope Gregory the Great in 597AD, is an inspiration for faith and evangelisation today. 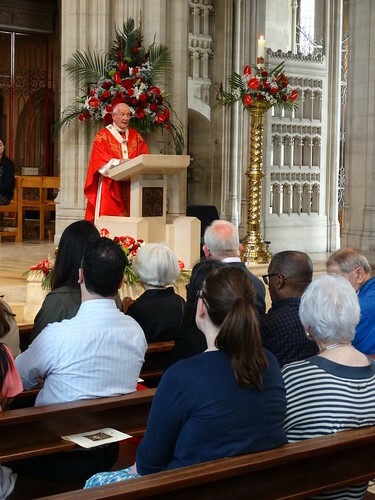 We invite pilgrims and general visitors to come to St Augustine’s to pray and worship, to enjoy the beauty of its architecture and to learn about the history of the early saints so closely connected with the identity of Christian England.